It's rare for a ramen shop to be so elegantly designed and decorated but at Tsujita everything fades away as soon as your tsukemen (dipping ramen) arrives. Attention must be paid to the noodles and char siu because Tsujita serves the best tsukemen in Los Angeles! When you order the tsukemen, you get two bowls. 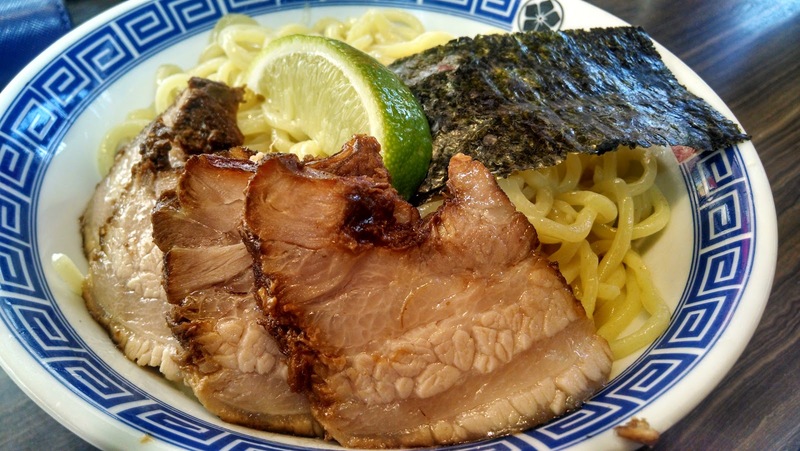 One is this bowl of thick al dente noodles topped with generous slices of braised fatty pork. 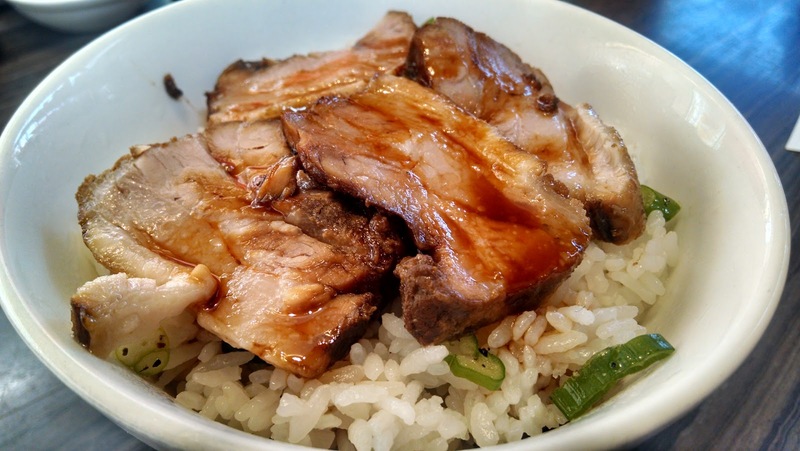 This is the most tender char siu you'll ever taste. You also get a second smaller bowl of tonkotsu broth to dip your noodles in. Enjoy a few bites and then squeeze some lime on the noodles to help cut the fattiness. Tsujita boils their tonkotsu pork bone broth for 60 hours. The result is a super thick and concentrated broth that glazes and clings to every strand of noodle. 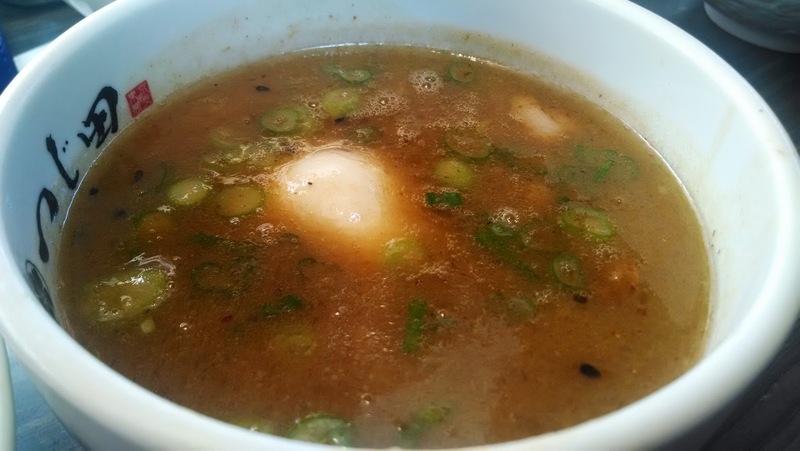 Sitting in the broth is a seasoned soft-boiled egg, house-made bamboo shoots, chopped bits of char siu pork and green onions. 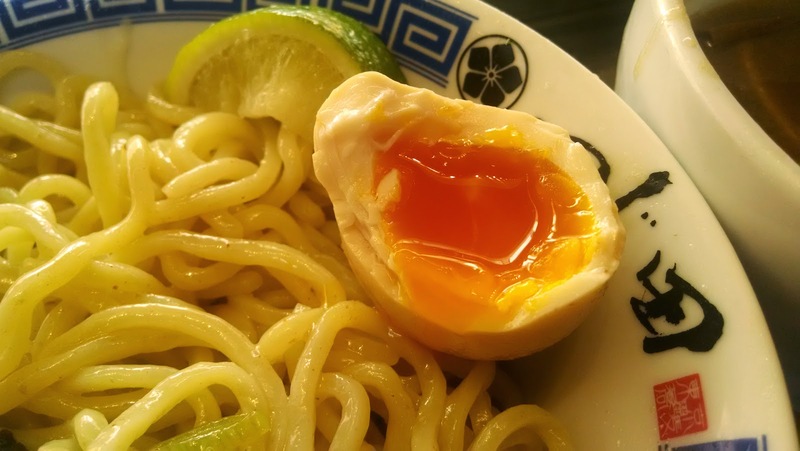 To me, a soft-boiled egg with an oozing orange yolk is the perfect egg with ramen. I can eat this egg every day. If you're feeling extra hungry, this small bowl of hot, fluffy short-grain rice topped with the same pork that comes with the tsukemen is the perfect meal topper. Or, you can always order extra noodles and Tsujita will also add additional soup stock to your tonkotsu so it's drinkable. Protip: Arrive before Noon on weekdays to beat the office lunch crowd. Weekends are always crowded so be prepared to do some people-watching. The ramen is ONLY served during lunch.